Edit: A big thank you to the PCPP staff for the Featured Build! This machine was built back in January when Kaby Lake was first released. Due to a heavy travel schedule I ended up putting it on air, half-built for a while before I had a free weekend to sit down and complete the loop. I built the computer to take the place of my current build that is used for everyday computer needs, gaming, and a workstation for my job. This was a fun build and one I had been wanting to complete for a while. I don't see many horizontally mounted reservoirs out there and I like the way it fills in the empty space at the bottom of the case. I wanted a more neutral metallic theme that I could highlight or change the feel of with LED's if the mood struck me. I really appreciate the "natural" look of clear coolant and non-colored tubes in a water cooled build. I think it accentuates the hardware a little more and the way light plays off of the clear tube in reflections and translucence is quite nice. This was also the first build I've done where my wife was very impressed. She understands computers are a hobby and thinks the ones I've built, including hers, look nice but it's ultimately not something she's interested in. This build appears to have changed her appreciation in how a computer can be artistic in a way so that's a win in my book. If I missed anything below please feel free to ask. Thanks, enjoy! I made a few modifications here and there but nothing that crazy I don't think. First, I used some custom cut 2mm, black acrylic panels in the case to give a more streamlined and blacked out aesthetic. There is the main acrylic piece that covers the top of the basement, one situated vertically on the motherboard side of the case to hide the holes and Phanteks logos, and a single smaller piece on back. They are held in place by a few small pieces of double-sided black 20lb. tape. The reservoir is also held in place on the acrylic with the same tape. To the case itself I removed the radiator tray in the top and got rid of it. This allows you to mount the radiator and fans quite a bit higher in the case. To mount the radiator I purchased a piece of 1.5" wide, 1mm thick aluminum from Lowe's to run across the top of the case. I spray painted it black to match and drilled some holes so the radiator and fans could be mounted securely. Because I opted for a pump that wasn't PWM controlled, there is hole drilled in the bottom of the case directly below the pump dial that I can easily adjust with a screwdriver. I also pulled the rubber padding off the included pump bracket that comes with the Phanteks case which I didn't use. I cut some pieces to fit and stuck it directly to the pump mounts to reduce vibration. I also used a piece for the bottom of the vertically mounted radiator so it wasn't resting metal on metal. The last modification I made was the inclusion of a small LCD display. The purpose of this was to have a quick and easy way to monitor system temperatures without opening programs. I was really not a fan of a few of the existing screens out there and wanted something I could fully customize to my liking. I ended up finding exactly what I was looking for from Adafruit. It's a 5" display with an HDMI controller that is powered via usb. The unit itself required a little modifying. After testing it for a few hours I noticed a few of the chips on the controller pcb where quite hot. Afraid I might create too much heat for it in the basement I opted to install some heatsinks on the unit which helped tremendously. The monitor also comes in a bare aluminum color which required some black spray paint in order to match the case. In order to mount the control unit, I cut a few 1/2" pieces of PETG tube and secured them with the 20lb. double-sided tape. This allowed me to mount the control unit to the wall of the basement and provide some breathing room for the unit. There is a thin ribbon cable that passes up through the basement top and acrylic piece to the actual LCD which is also mounted to the case using the double-sided tape. I used a flexible HDMI cable from Sanus and routed it and the usb power cable through the basement, out from under the bottom of the motherboard, and through the pci-e slots on the back of the case. The LCD unit also has a settings module that allows you to adjust LCD brightness, gamma, on/off, etc. I routed that unit out of the front of the case and through the fan filter where it's mounted directly to the front of the fan filter. In order to access it I simply need to pop off the front case cover. The monitor is setup as a secondary display where I'm using Rainmeter to display the customized temperature modules. What you see currently is the "rough draft" version. I intend to add a few more modules to monitor fan rpm's, loop temp, etc. It currently monitors gpu/cpu temp, gpu/cpu load, gpu/cpu mhz, ram usage, and gpu vram usage. The last modification I did was to delid the 7700k. I used a Rockit 88 tool for the actual delid and applied Thermal Grizzly Conductonaut liquid metal for the tim. After cleaning off all the excess silicone leftover from the delid I opted not to secure the IHS again. In the event I decide to lap it later for ***** and giggles, I didn't want to deal with delidding again. Once you line the IHS up correctly it's fairly easy to transfer the cpu back to the motherboard. Afterwards you need only hold the IHS in place with your finger until you begin to apply a little pressure with the cpu clamp. After that it doesn't move. I ran into a few minor problems but thankfully nothing detrimental or serious with the build itself. Originally the pump was mounted horizontally in the basement, which according to Alphacool was perfectly fine. However, the pump failed to perform in that orientation which causes issues when I initially filled the loop, and I couldn't get proper flow. To fix the problem I had to flip the pump orientation to vertical and shave down 1.5mm off the top of the pump top so it would fit in the basement correctly. I also pulled out a few 90° angles and reconfigured the tubing just as a precaution. Ultimately this completely fixed the flow issue with the pump. So far I haven't toyed with overclocking that much. I pushed the cpu to 4.8ghz at a stable 1.21v and I overclocked the gpu to 2088mhz. When I get more time I'll see what the limits for each one are. I've only benched using what is currently installed on the computer. My intake rad fans operate at 800rpm while my exhaust rad fans operate at 600rpm. The only thing you can hear from the computer is a very quiet hum. This is insane! Custom loop, great specs, and that H/W monitor screen you have set up is brilliant. 10/10, take all the up votes i can give you. This could easily become a featured build. Solid, clean build. I love it. Hell of a build. I don't think I'd have the patience to complete what you did. Love the custom loop. Great job. Is the Rainmeter monitor custom? I'm trying to find a good one, but it's hard to find any... I certainly can't find the one you're using. Do you mean the Rainmeter modules/skins or the actual mini monitor itself? Sorry, I meant the modules/skins. The circular dials are CircuitousTwo. I also took Lines2.0 and SimpleGraphs and heavily modified them for what I needed. Check out /r/rainmeter. You can find just about anything there. Thanks! I'll look into setting these up! You certainly made this build shine. Love the attention to detail here and seeing your cut finger makes me want to grab a ban-aid and wrap it. It's a beautiful build, and you've taken my one for this work of art. Well done! Thanks! It's quite a treat. I'm really curious about that screen. Where did you plug in the HDMI cable, and how did you mount it to the case? But this is a blessing to my eyes, inb4 feature. Scroll through all the pictures and you can see how I mounted it. Basically I took a short piece of PETG tubing and cut it into four pieces that were 1/2" long. Then I put 20lb. double-sided tape on both sides and secured it to the side of the basement wall. It's mounted that way so it can breath a bit. The HDMI cable is just routed through the basement then up into the case in the back corner (bottom left of motherboard if you're looking straight at it), and out through a small gap in the pci-e brackets that I modified. From there it's just up to the graphics card and usb for power. I added two new photos to the album that reference this. They're in the middle along with the chunk of pictures related to the screen. Brilliant. I'm thinking of doing the same thing. The main question is, though, what are you running on it to show your temps and what not? The mini LCD is setup as a second monitor. What you're seeing is Rainmeter skins/modules being used on that monitors desktop. It pulls information via Open Hardware Monitor, but you can customize to pull information from just about any temp/system monitoring software. Ah, awesome. I figured it was something like that. I'm running Windows 10 Pro x64 themed, with rainmeter as well. I put up a screenshot of what my Windows 10 looks like currently. The P400S has a similar basement design to your case. I'm going to have to see if that screen will fit between the sidewall and the glass pane. Nice, it's so easy to get carried away with Rainmeter. You never stop tweaking and fiddling with it. If you can't find the screen against the side of the basement you could put it up just to the right of your motherboard. If you remove one of those Phanteks rectangular pieces you would have easy access to route the ribbon cable behind it and keep it covered by the screen. That would also allow you to easy mount the control unit to the backside and run your hdmi and usb cable down and across. Haha. Nah, I'll stick with it. THIS IS AN AWESOME BUILD. LOVE THE PICS! Builds like this are what the Evolv was made for. Fantastic work! this is a sweet build. nice job with the display, really digging it. but ouch, was pic #43 really necessary? There are some who say a sacrifice of blood is necessary when building a new computer. That picture was for them. I didn't even think of that! I'll go back and edit a few words in there. Hats off to you Sir. Must be one of the best mod job for this case. Kudos. Dude hope this is you. Actually, no. It's not me. Effing gorgeous build. Very clean. Phanteks truly does make some gorgeous cases. I couldn't afford (after the ridiculous amount I spent on the innards) the case you used in your build, but I'm absolutely in love with my Eclipse P400S Tempered Glass. It's their cheapest case, but it's such a work of art. Like mine, yours shows how gorgeous your choice of components and how much attention to detail you paid in your cable management. Very well done. Thank you very much! I really enjoy the quality and aesthetics of Phanteks cases. 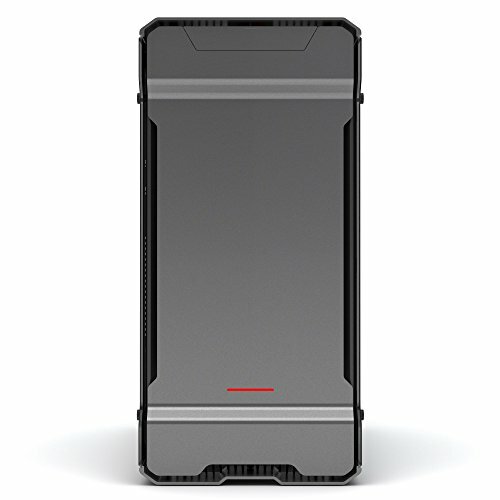 The P400S TG is a beautiful case as well. That was some kind of my joke lol Your build is ******* awesome man, i mean holy moly, it's too good! +1 for blood sacrifice. 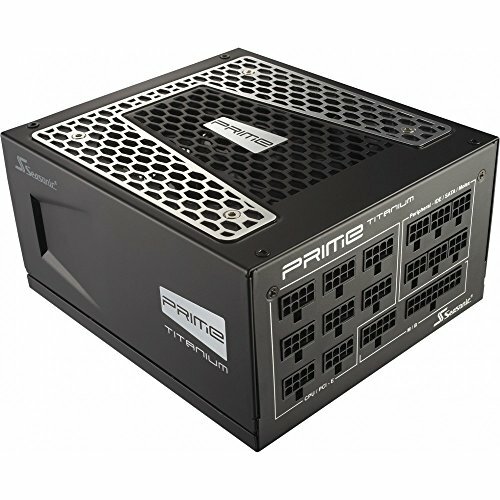 Very nice build, I like the LCD and its a good case to show off the Seasonic Prime. I might make a second account to upvote this more than once.. Easily one of my favorite builds on this site. Wow, I appreciate that. Quite a compliment, thank you! 1.21 megavolts! +1 you definitely put a lot of effort in, and it looks great. wow looks absolutely great! i agree that the clear coolant looks great in your case. congrats on a well deserved feature !! Thanks, it's always great finding other people who appreciate the subtlety of clear coolant! May I ask, where did you buy the 2mm black acrylic panels? It would be nice in my Evolv, as it reflects GPU LEDs nicely and help black-out the build as in yours. Local signage company. I would recommend searching around you. Any sign company that manufacturers will have plenty of scrap pieces. I simply called, told them what I was looking for, and offered to pay some money for some scrap pieces if they would custom cut it to my specifications. Ok first i have to say this looks, amazing! Second, How many hours? Thank you! You know, that is one thing I completely forgot to track. I wasn't able to do it all in one sit down so it's hard to say. If I had to guess, it would be around 20 hours or so with all the tinkering I did. I was actually surprised. There are so many fantastic builds posted to this site every week. Nonetheless, it's a great prize! First time I've seen someone get hurt in a build process. PC modding can be dangerous, use caution. Hah! The threads on compression fittings are actually quite sharp and I reached over, without thinking, and grabbed one with my fingertips. It was a little too snug and I was a little too aggressive. I ordered all the water cooling parts from Performance PC's. Wide range of products, decent prices, and great customer service. This is just stupid. Stupidly awesome. I like that LCD Display a lot :P Probably one of the best builds I've seen on PCPP! Wow, thank you for such a compliment! damn! 1+! how the hell did i not see this before! congrats on the feature! looks amazing! Thanks so much, it was a nice surprise! Hey! Awesome build! I was just curious, what are your temps after the de-lid. I was thinking of doing it myself. Mines on water and i'm still seeing hot temps in the 70's. Thanks. Again very impressive build. I idle anywhere from 27-31° depending on the ambient room temperature. Under load I'm around 50-57° depending on the level of load. I can pull load temperatures down a little lower if I increase fan speeds on the rads, but I keep them low (intake 700rpm, exhaust rad 500rpm) so they stay silent. I also plan to drain and adjust the cpu block in the near future. The Supremacy EVO doesn't sit as snug as I would like with this motherboard. I believe if I add some nylon washers between the bracket and the screws to snug the block up, I could pull the temps down another 3-5°. Wow, I'm sitting at 32 degrees idle, and can get above 60 or even 70. Wow, I might need to do that. I usually don't like clear liquid, but for this build, it's really growing on me. It looks like Sprite because of the fizzing, looks very good. CONGRATS ON THE FEATURE, YOU DESERVE IT! Hah, thanks! All of those bubbles in the reservoir have worked their way out now, but I actually kind of liked them being there for some reason. Very detailed and clear pictures. The way you took these pictures and arranged them does a very good job of telling the story of this build; well done. Yooooooo. Yo! This is friggin' gorgeous. Well done. Why not another Phanteks Evolv? Even I can't stay away from their excellent cases, lol. This build is no elegantly designed and the methods you used are so deficient it didn't require the usual crazy amount of work. It looks positively beautiful! Well done and congrats on featured build. Great Build! Do you have any recommendations for custom liquid cooling... I have been looking in to it for a while. What kind of recommendations are you looking for exactly? If you want to PM me I'll be glad to help you however I can. Awesome cooling, but why is the exhaust flow from the GPU going into the CPU? Won't two separate flows for CPU and GPU be better? 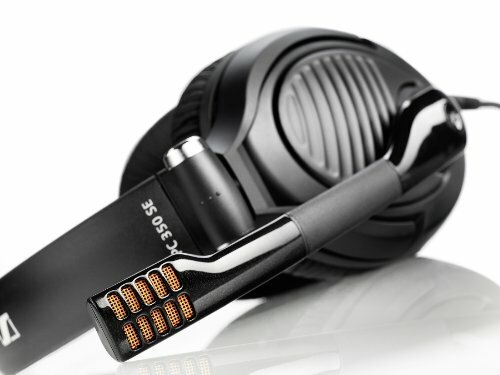 Also, considering the amount of overclock and heavy duty components - an 850W SeaSonic Gold/Titanium would have been nice. The loop actually goes reservoir, pump, rad, rad, cpu, gpu, and back to the reservoir. Regardless, the order of a loop doesn't matter. Water moves through an entire loop in seconds and moreover, the water is equalized which results in pretty much even temperatures throughout every part of the loop. This includes the temperature of the water before and after it goes through a cpu or gpu block, or one to the other. For the overclocks and components I have, a 750w is actually already overkill. I could have been more than fine with a 650w psu, but I like a little overhead. An 850w would be good if I had two gpu's, but as it stands now I barely hit 50% psu usage under load which is the sweet spot for maximum efficiency. Why not Ryzen though? 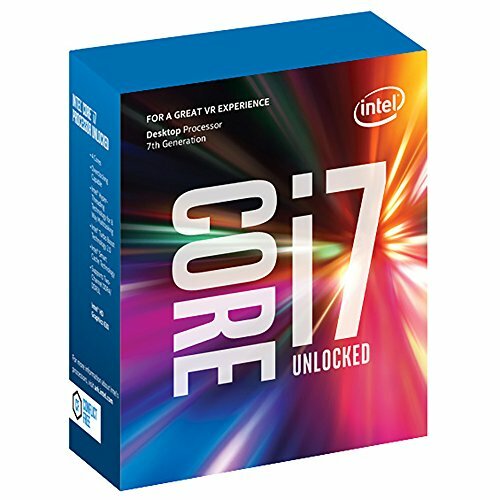 They are pretty good on price/performance, much better than i7 6900K. Also - two Crossfire MSI Radeon RX 480 8GB GAMING X will be the same as a single GTX 1080. Both future proofed because of CPU multithreading and higly optimal GPU drivers. Because I built the computer back when Kaby Lake was released, got a great deal on the cpu, and had no interest in Ryzen. I'm also not quite sure why you reference the price/performance of a cpu I don't have. This build has an i7-7700k, not an i7-6900k. I also have no interest in SLI. Been there, done that a few times - the last time with 780 ti's, and I prefer the performance and stability of a single good gpu. I like AMD but A) They haven't brought a new, serious gpu to the market yet. "Yet" being the key word. B) They have a history of promising one thing and delivering another and I wasn't going to jump on the Ryzen bandwagon just on promises. The good news is Ryzen is fantastic and if AMD stays on track I may have a more difficult time deciding which upgrade path to go in another five years. I love the screen you added...makes it truly unique. I know I don't have the time, patience, or know-how to pull it off myself. And possibly the first person to show their battle scars they gained while doing battle. Kudos to you good sir. Just thinking of doing that gives me nightmares on the scale of Donald Trump winning the Presidency. Hah! Even with a delid tool it's rather unnerving. If you have Kaby I would highly recommend seriously thinking about it. I saw a 18° reduction in load temperatures. Check out /r/hardwareswap. There are a few members there with nice delid tools that will "rent" them out to you just for covering the shipping cost. The Rockit 88 is the tool I would suggest. props for going hardline on the first one! I wanted to use PETG in mine but went with acrylic... again props, it turned out great! Turns head over to my old mid 2012 MacBook Well... darn. Awesome build man, I can never get over these Phanteks Enthoo Evolv builds. Especially if they are water cooled! +1 all the way. It is perfect. Clean, not too busy, tastefully done. Looks like it cost more than it did. I'd be looking at it more than I'd b looking at the monitor. How do you get any work done with that sitting there?! Thank you for sharing. I worked all the major bubbles out after filling the loop. A custom loop takes a week or so to work out all those small ones. That's quite possible the coolest custom loop I've ever seen. Congrats on the feature! Oh, wow. Thank you for the compliment! This is not a computer. This is ****. Wow absolutely beautiful! Looks like a lot of work and planning went into it. I absolutely love the clear water it's so much more timeless compared to the dyed systems. Very nice! I've never seen an LCD system monitor screen like that, pretty slick. Great job with the loop and all the mods. Maybe I started a trend? Who knows! Really nice build ! I like the amount of small details that went into this build like the acrylic panel, monitor screen and delidding the CPU. Your bends are very even too which is a nice touch. I personally would of like to see a pastel coolant but your current setup would be easier to maintain over the long term. WELL DESERVED FEATURE BUILD ! That Monitor is amazing...+1. 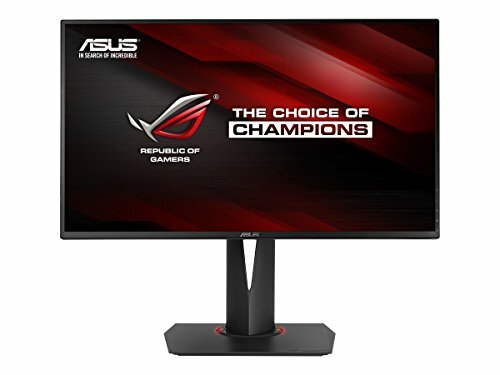 If you don't mind me asking, do you have a link to that specific monitor? You know those fancy aquariums that people spend 10s of thousands on? You managed to give the same feeling of one of those. But the difference is that you managed to work that awe-inspiring feel, while not making any sacrifices in performance. Often, people will either go pretty, or performance, but you set a benchmark (no pun intended) for builds that can be perfect in both. Like everybody's been saying: It's an insane build. Thank you so much. That is a compliment I take to heart. I was looking at your case and was wondering if the case that I chose would accommodate liquid cooling down the road and realized they are the same case just different colors. Could you give me a ballpark figure for what the costs are? Also, is there a way to set the loop up to where if there were a catastrophic failure the electronics would be protected from the liquid? Or is that a pipe dream? Totally clueless about building PCs so I want to leave the loop for later once I have my first system up and running. Big props on a smooth build and leaving the liquid clear. I find they are accented more than those with dye in them. Ok I did a build test over at EK. It's +$725. It was around $800 for all the water cooling parts, which you can see on the parts list on the left side of exactly what parts went into it. Of course water cooling costs can vary depending on which blocks you use, how many fittings you use, the type of reservoir and pump you have, how many pieces of hardware you plan to cool, etc. You would need to look at what you would like to do and adjust from there. There's not really a way you can orient your build to protect it from leaks. The good news is a leak isn't necessarily going to fry everything as long as it's not left leaking for a long period of time. Typically, if a loop is going to develop an issue, it's going to develop one with the first 72 hours or so. Common water cooling practices include hooking up nothing but the power supply and letting the loop run for 24 hours for leak testing. A test you can extend as long as you wish if you're worried. Watercooling isn't a dreadful leak-fest that people make it out to be. However, you do have to take your time and do it correctly for the best results. Awesome. Thanks for the reply. I'm definitely going the water cooling route. Seeing as how I've never owned a desktop and will be building one shortly I'm going to use a prefabbed all in one cooler to begin with until I've tinkered with the install for a while and have it all figured out. It will let me know how much room I have to play with for the loop I'd like to create. I'm not sure how pliable the tubing is in regards to bending, but I'm shooting for some spirals. The screen you installed on the outer case... 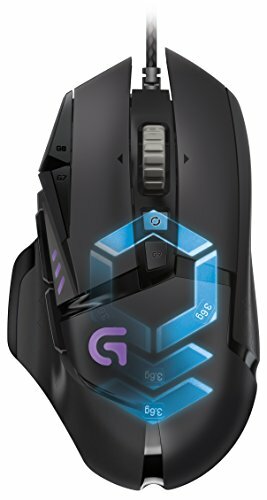 Does it connect into the mobo? No problem. No the screen is connected to the video card and a usb port for power. Scroll through the build description. I added a section explaining the mini lcd screen. Good luck with the build! I have the same case and the same MB and I'm a tad confused regarding the front IO connections and the 12v PWR cables, could I get some help? What kind of help specifically? Damn im loving it . That LCD screen for the hardware monitoring... how did you do that I want to put that into my next build. There is some info in the build log towards the bottom that explains it. It's basically a screen that functions like a second monitor. Powered by usb and displays using hdmi. It's mounted inside the case using double-sided 20lb. tape. Wow this is really nice, the mod up top for the rad and fans is exactly what I have been looking for an example of! Great! Let me know how it goes or if you have any questions. Thanks, sorry for the late response. The small display is setup as a secondary monitor. It is powered via usb and uses an HDMI input. The control unit for the display is mounted within the case basement. It's simply attached to the basement using 20lb. black double-sided tape. The temps, etc. you see on the monitor are being generated by Rainmeter, which is a custom desktop program that pulls information from Open Hardware Monitor. If you need further details just let me know. I toyed with the idea of a colored coolant for a while. Ultimately I decided on clear for two reasons. Clear is neutral and clean. So it allows the LED's to set the color tone more easily. The LED's make clear tubing glow very subtly with their reflections which is nice. I could work up a little something in about a week when I get some more time. I have this in the meantime. I could certainly assist you there! Just PM me and I'll offer whatever help I can. Having a set budget really determines everything. 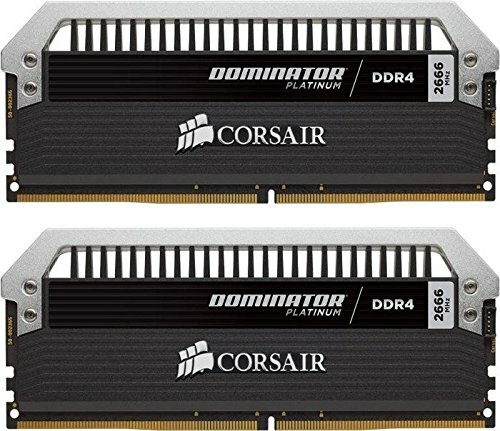 only one cuestion, you use DDR4 3200 memory, The intel info about CPU says that can support DDR4-2133/2400, DDR3L-1333/1600 @ 1.35V so is ok to use this DDR4 3200 can the CPU manage that? in other words is worth it to use 3200 if only can support 2400 or is something i just missing here. Anything over 2400mhz is an overclock. The 7700k scales well with a ram overclock and once you overclock the cpu itself it scales even better. The ram defaults to 2400mhz when installed and you simply need to enter BIOS and enable XMP profiles. Your system may or may not need voltage tweaks after that once you start overclocking the cpu. Whether or not it's worth it will depend on your budget. I chose 3200mhz because for me it was the sweet spot between performance and diminishing returns. Anything over 3200mhz yields very little performance gain in comparison to what you see from 2133 to 3200 for example. I personally wouldn't recommend using ram below 2400mhz, but that's just me. I agree. You can have a field day buying stuff from there.